7) “Darwin explained the origin of species.” Although Darwin called his book On The Origin of Species by Means of Natural Selection, or the Preservation of Favoured Races in the Struggle for Life few evolutionists believe that he successfully fully explained “the origin of species” specifically. Darwin thought species were like varieties, only more so. While this is the case with asexually reproducing organisms, it is not the case with the sexual. Members of different sexual species do not just tend to look and behave differently and occupy different niches as do varieties, but they are normally incapable of interbreeding with each other. The difference is not unlike that between different dialects of a language and different languages. Most commonly, separation by physical barriers (geographic isolation) often accompanied by genetic drift is ultimately responsible for this “reproductive isolation”, but natural and even sexual selection also often accompanied by genetic drift can produce the same result in some cases. None of this in any way detracts from Darwin’s great achievement in seeing the reality of “descent with modification” among species and that natural selection is a powerful force in nature. 8) “Resource depletion and environmental degradation go hand in hand in nature.” Quite to the contrary, all other things being equal, they should be negatively rather than positively associated. If resources are plentiful, it pays to acquire more and produce more offspring; if they are scarce it pays to instead derive more break-down products from each unit acquired and produce fewer, higher quality offspring which yield more grand-offspring. Acquiring and producing more obviously depletes resources more, but digesting and producing better degrades the environment more. This is because the more concentrated is the “good stuff” extracted/good offspring produced, the more concentrated i.e. toxic will be the “bad stuff” excreted/bad offspring rejected. In some species, higher quality offspring are built up and lower quality ones disposed of routinely as a matter of course, the latter phenomenon is called “obligate brood reduction”. However, the “all other things being equal” qualification is important. Commonly human “developed” societies both deplete and degrade more (e.g. both have more land under cultivation and derive higher yields per hectare) than “developing” ones because they possess the knowledge and resources to do more of both. This illustrates an important point about evolutionary theory. A negative correlation is evidence of a trade-off, but its absence is not necessarily evidence that there is no trade-off. Some individuals can be capable of doing more of both (whatevers), presumably because of superior information. 9) “There is no role for purpose in evolution.” As a minimum, requires qualification. It is true that neither evolution in general nor particular lineages of organisms are moving towards some sought-after or preordained goal. On the other hand, life cycles evolved by natural selection do have an objective, roughly survival and/or reproductive success. Organisms are commonly described as having a “programme”. This programme includes vast hierarchies and networks of genomic sequences controlling the expression of other sequences and even doing so flexibly – not unlike a computer programme replete with “if statements” which is executed flexibly depending upon circumstances. For example, in a patchy environment if resources are plentiful here and now and are expected to be scarce elsewhere/in the future, selection will favour spending on acquiring resources and/or producing offspring. However if resources are scarce here and now and expected to be plentiful elsewhere/in the future/in some other niche, selection will favour investing in future consumption and/or production by moving on (motility), becoming temporarily inactive (maintenance), or innovating phenotypically (phenotypic “mutability”) and/or producing offspring which move, wait, or are mutants. Overall, under uncertainty but with reliable cues, programmes are selected to respond adaptively to circumstances – to maximize “net present value” as economists put it. This phenomenon of naturally selected programmes which permit the flexible pursuit of the goals of survival and/or reproduction in development (and of numerous subgoals in pursuit of those goals) – whether morphological, physiological, or behavioural – is known as “adaptive phenotypic plasticity”. Natural selection explains not just adaptation in a static sense, but purposivism in a dynamic sense. 10) “Evolution reveals nature as being ‘red in tooth and claw’.” Only one-third of the truth. With all the food and space in the world, there will inevitably still be hereditary differences in the ability to acquire resources and turn them into offspring. Although reading Malthus indeed made the penny drop for Darwin, in fact no Malthusian “over production of offspring” is required for natural selection and evolutionary change to take place. It is the case that under scarce resources, competition often takes the form of overt conflict entailing contact and aggression i.e. Tennyson’s “nature red in tooth and claw” – behaviours such as food theft, cannibalism and intra-specific nest parasitism for example. On the other hand, social cooperation as well as social antagonism are possible as well – group hunting in social carnivores for example. Not uncommonly conflict and cooperation are mixed – for example, cooperation within groups and conflict between them. In short, competition can take place in the absence of social interaction of any kind, and social strategies including cooperation as well as conflict are means by which competition sometimes takes place, most obviously under crowding. 11) “Evolution proceeds in the direction of increased complexity.” Not necessarily so. Some animals have evolved eyes, others, living in caves for example, have lost them. The earliest living things we know about (although something else undoubtedly preceded them) were prokaryotic cells – those without a nuclear membrane like the familiar bacteria. To this day, prokaryotic cells remain the most abundant, both in numbers and biomass, on, over and in our planet. Complexity has however increased in some lineages and why and how are interesting questions. One of the most important means by which it has increased has been by over-duplication and divergence of parts serving different functions (whether of genomic sequences, cells and cell groups, body segments or even whole individuals – as in some life cycles which include more than one kind of individual such as a growth form followed by a dispersing sexual form). Another means has been by symbioses (intimate associations among members of different species). Eukaryotic cells (those with nuclear membranes) like ours include what were once independently-living prokaryotic cells for example. However, a general theory of how new levels of more complex developing and evolving individuals emerge (and even in the case of one theory proposing that they actually necessarily do) is currently a matter of much discussion. 12) “Evolution is a theory of progress.” Progress is an inherently evaluative concept. If one values the big and complex, then that is progress; if one values the small and simple, then that is progress. Evolutionary, like any other science, is incapable of answering such questions of value. In the light of that, claims that evolutionary theory justifies capitalism, socialism, or anything else for that matter is too silly to be worth discussing! 1) “Evolution equals mutation plus selection.” This is wrong on both counts. It would be more accurate to say that it equals hereditary innovation, selection and drift. There are forms of heredity other than the genetic including the epigenetic, behavioural, ecological and cultural for example. Even with genetic inheritance, in sexually reproducing species, including most familiar animals and plants, genetic recombination rather than mutation is the source of most hereditary innovations. Natural selection (roughly differences in the ability to survive and/or reproduce based on hereditary differences) is important, but so too is “drift” – the evolutionary term for sampling error, essentially accidents. Just as when tossing a fair coin, in a large number of tosses we expect an equal number of heads and tails but not so in every small group or short sequence of such. In finite populations (and no population is infinite in size), organisms do not always get what they would otherwise. Nature does throw dice. 2) “Mutations are random.” At best ambiguous, depending upon what is meant by random. As used in evolutionary theory, random does not mean uncaused, necessarily unique, or equiprobable. There are many known causes of mutations including ionizing radiation, some chemicals and some viruses for example. Mutations are often a recurrent affair – to the extent that the mutation rate from one version of a gene to another can sometimes balance selection acting against the latter, maintaining an otherwise maladaptive alternative in a population. All possible mutations are not equally probable – “forward” mutations from one version of a gene to another and “backward” ones, their reverse, often occur at different rates. If it does not mean uncaused, necessarily unique, or equiprobable, then what does it mean? As Donald Campbell made clear, the term “random” is ill-chosen. All it means is “blind” or “non-prescient”. On a statistical basis, mutations are not necessarily oriented in an adaptive direction. Most, in fact, are harmful. None of this should be taken to imply that mutation rates cannot be selected and evolve which they can and do in some cases. 3) “Lamarckian inheritance (the inheritance of acquired characteristics) has been proved false.” Not so. If a cell doubles in size and divides once, however the material is distributed among the two offspring cells, 50% of that material was acquired rather than inherited by the parental cell. Lamarckian inheritance then can be half the story. What is false is the theory of Lamarckian evolution – that acquired adaptations, as a result of “use” for example, are preferentially inherited over acquired maladaptations, as a result of “disuse” for example, which, if true, would be miraculous – a skyhook rather than a crane in Daniel Dennett’s memorable terms. 4) “Natural selection causes change in populations.” Not exclusively so. Natural selection can cause change in a population, but it can also maintain stability by selecting against new extremes. There is a story about the views of Charles Darwin and Herbert Spencer on this point. When Darwin read Malthus on over population, the penny dropped and he inferred that the resulting struggle could be the force causing species to change. (He had long believed that they do, in fact, change.) Spencer read Malthus too, but he inferred that the struggle resulting from over population could be the force maintaining the stability of species. When Darwin eventually published his theory, Spencer was chagrined that he had not thought of Darwin’s idea himself. But Spencer had not actually been wrong! Both are possible! Not only can selection cause directional change or maintain stability, but it can also drive wedges in populations splitting them apart as Darwin himself emphasized. 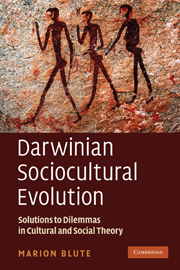 After a long hiatus in which it was believed that only geographical isolation could do that, contemporary theory and empirical research now support Darwin’s view. 5) “Evolution equals survival of the fittest.” Only part of the story. Reproduction and not just survival matters. “What matters in evolution is reproduction.”Also only part of the story. In fact, modellers have shown that there is no single definition of “fitness” suitable to all types of populations – with overlapping as well as discrete generations, sexual as well as asexual, with different kinds of life histories, for declining as well as growing populations etc. 6) “Population genetics or the genetical theory of evolution is a complete theory of evolution.” Opinions on this differ as even a cursory review of the macro-evolution and evo-devo literatures reveal, but even confining ourselves to microevolution, I think not. The unification of Mendel’s theory of heredity and Darwin’s theory of evolution which defines evolution as a change in gene frequencies in a population (commonly known as neo-Darwinism in Britain or the synthetic theory of evolution in America and built mainly by Ronald Fisher, J.B.S. Haldane and Sewall Wright in the 1930’s), was a towering intellectual achievement which continues to be refined to this day. However, its elegant simplicity comes at a cost in that while it unifies genetics and evolution, it omits development and ecology. Ideally, a ‘new’ new evolutionary synthesis will be one including not only evolution and heredity, but also development and ecology. I for example have suggested that rather than defining evolutionary change as “a change in gene frequencies in a population”, it be defined as “any change in the inductive control of development (whether morphological, physiological or behavioural) by ecology and/or the construction of ecology by development which results in a change in the frequency of hereditary (including genetical) elements in a population.” As well as including development and ecology, this definition incorporates the cases of both old genes in new environments and new genes in old environments respectively.